The other week I wrote about the desperation we were feeling at Little M’s sleep (or lack thereof). We decided that we needed to do something about it, as sleep deprivation was taking its toll and we knew that we couldn’t go on the way we were. So, we decided to try sleep training. I know sleep training isn’t for everyone, and frankly I don’t want to hear about it if you think we’ve damaged our child. For a start it’s a bit late now as we’ve done it. FYI she seems totally fine. For us, we didn’t feel comfortable going for a straight ‘cry it out’ approach. But the problem we were having was that Little M had learned that we would pick her up when she cried. So she cried. Even when there was nothing wrong. Because she preferred having cuddles to settling herself. To be fair to her, who wouldn’t? So, we started off by removing all distractions. No white noise, no colour-changing light show on the ceiling. Then we got mega strict with our routine. We had a bedtime routine already (dinner, story, bath, milk) but it was very…fluid. It could shift by up to an hour each night. Daytime naps were also at random times, whenever Little M fell asleep on me. Now, Little M wakes at around 7am, then does down for her first nap at 9am. It seems like a very short time after waking, but she does sleep. Then her second nap is at 12. No more naps after that until bedtime, which usually sees her down in her cot at around 7:30pm. All naps happen in her cot (unless we’re out somewhere). Crucially, when Little M cries when put down for a nap or for bedtime, we don’t pick her up. We just put our hand on her tummy (or back, if she rolls over; she’s become a tummy sleeper by choice) and say, “It’s sleepy time now, M, night night”. Then leave the room. 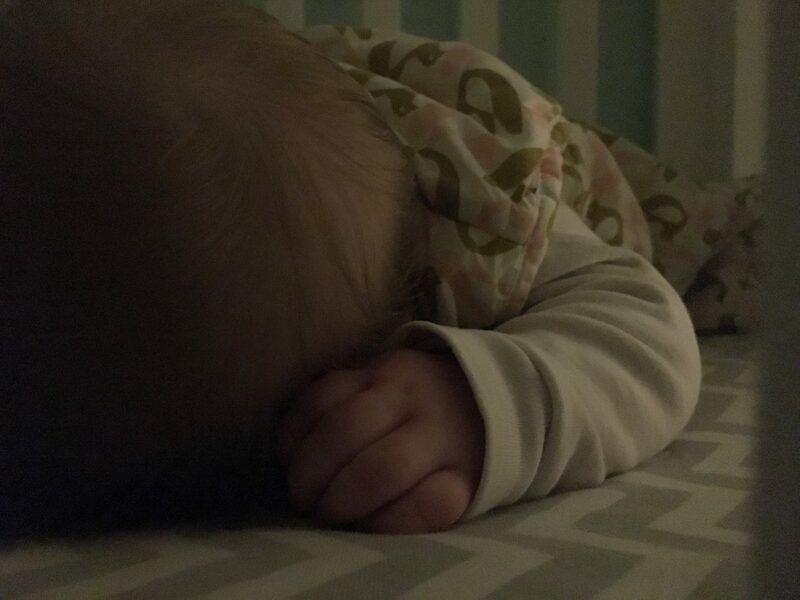 If she continues to cry, we go back in and say, “that’s enough now, M, it’s sleepy time, night night.” We say the same words every time, and go back into the room in varying intervals saying the same thing until she eventually stops crying and goes to sleep. I admit, this sounds a bit traumatic for everyone. But it means that she isn’t just left on her own crying; we’re reassuring her that we haven’t gone away and abandoned her. The first night, it took 20 minutes and countless reassurances for Little M to fall asleep. She was quiet by 8pm and slept through until 6am the following morning. We were amazed, but didn’t count our chickens just yet! The second night, she was asleep after just one reassurance. The third, I didn’t even get a chance to count to 20 and mull over going back into the room before she’d gone quiet and settled down to sleep. Nine nights after we started, she was quiet before I’d even walked across the landing into our room and turned the monitor on. She does sometimes wake, but settles herself quickly back to sleep. She’s learned to do this because we put her down to sleep awake, and she settles herself to sleep, rather than us rocking her and trying to put her down without waking her. Daytime naps were more difficult to master. 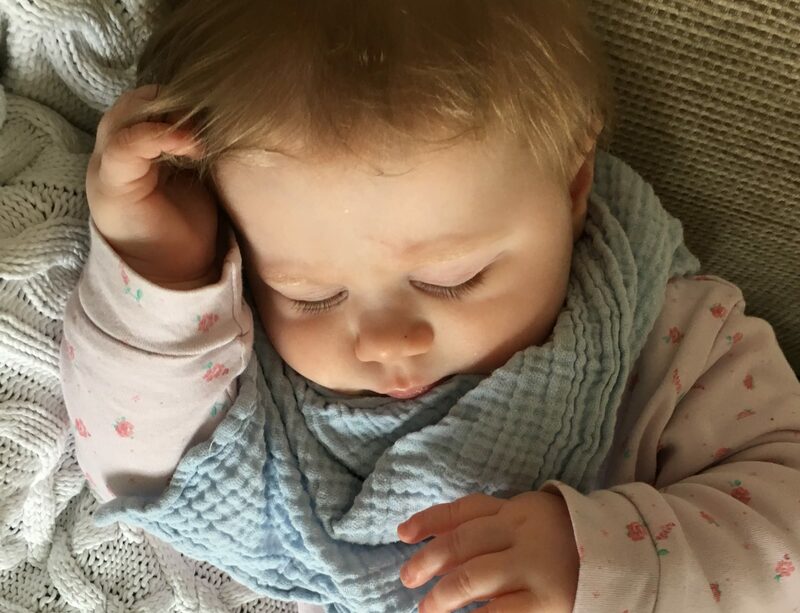 To begin with, Little M would only nap for 25 minutes at a time, which isn’t really enough. But even if she’d had a terrible sleep, each time we went into the room to get her up we’d say, “what a lovely sleep you’ve had!” and open the blinds. This week she’s had days where she’s had two, two-hour naps. Admittedly I think this is more down to the fact that she’s been a bit under the weather, but the fact that she’s happily napping for that long in her cot feels like something of a miracle. I’m not saying that this method is the answer for everyone, but it’s worked for us. It’s made such a huge difference to hubby and I to get a decent night’s sleep, and Little M is much happier and less fractious during the day. She’s even eating better. And, she’s been teething for the past fortnight and it hasn’t stopped her from sleeping through this past week, we’ve just given her a single dose of Calpol on the nights that she seems to be really struggling, just like we did before when we were up holding her half the night. 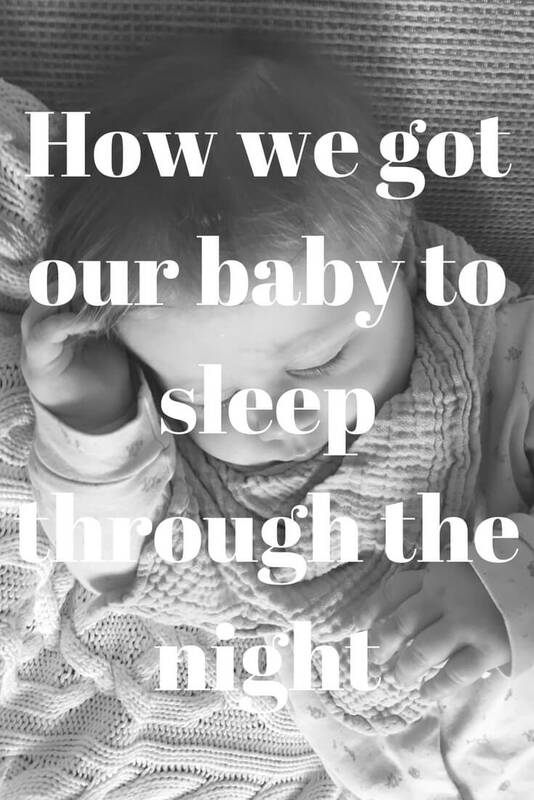 How did you get your little one to sleep through the night? "Maxi-Cosi Pebble Plus Car Seat & 2wayFix Base Review"
"Meet the Parents – Advice for New Mummies and Daddies from A Blonde and a Baby"
I needed to read this today! I feel like I am going out of my mind with tiredness right now. Might just try the hand on tummy approach!